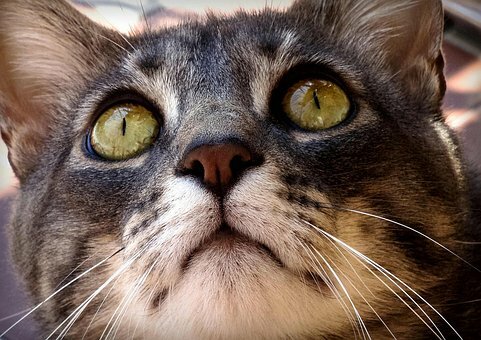 Holistic feline asthma treatment involves looking at the cat as a whole being. That is, all that lead up to the cats asthma, all the health care as well as the environmental factors. Any health issue deserves this deep analysis of what went before and what the triggers are, but also what caused it. 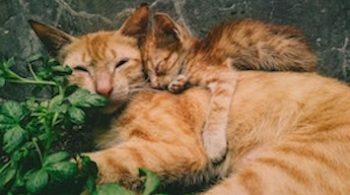 Invariably, this involves looking at the diet because when you feed the best foods for cats with asthma, the problem, along with other problems can clear up. This shows you how important diet is. More on this in a minute. But it also involves looking at what made the cat unable to prevent the asthma in the first place. We all, cats included, have an immune system that should be serving us very well. That is, by preventing any disease taking hold. When it’s not working, you need to examine what could have caused its decline. Disease is man-made. Wild cats are much healthier than their domestic counterparts. It isn’t surprising when you look at how a wild cat lives and the huge difference in how domestic cats live. Wild cats are free to do what they want. Domestic cats have to bow to what we determine is best for them. Wild cats eat natural food, food they evolved on for millenia. Domestic cats are fed unnatural food, laced with toxic chemicals to flavour, to colour, to preserve, to top up on the deficiencies. Wild cats have superb and untarnished senses that keep them out of trouble and tell them where the best food is. 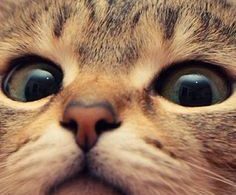 Domestic cats have had to dull their senses to cope with living with us noisy, very stressed humans far from our origins. 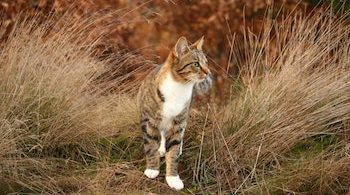 So treating feline asthma naturally, holistically or homeopathically means trying to emulate the wild cat as much as is possible in our environment. The diet is one of the most important aspects of keeping the immune system in good shape. No one can have a healthy immunity without a good diet, one they evolved on. Apart from the unhealthy diet practically all domestic cats are fed, we have done much to undermine the immune system, to make it unable to respond to circumstances it normally should have no problem with. And that involves toxins. Not just toxins in the environment, important though these are, but toxins in the medication. Medication, in particular vaccines, are loaded with heavy metals and other toxins the body has no defence against. They are liberally used with scant regard to already compromised immune systems. So holistic feline asthma treatment looks at these two areas to improve or nullify. 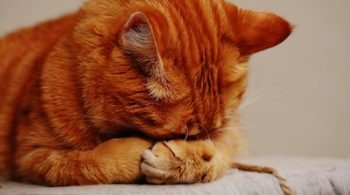 The diet is down to you, but here you can get support and help with what to do, what to feed and how to convert the fussiest cat, all on a budget. Reversing the toxic effects of medication is not for the layman. That’s down to an experienced practitioner. You’ll need a consultation or three to get that sorted out, but that’s an investment, as the health of your cat will surge up and stay there. The asthma and every other condition can improve or disappear altogether. Don’t just look at the ailment. Look deeper. Holistic feline asthma treatment does look deeper and can help put everything right again.